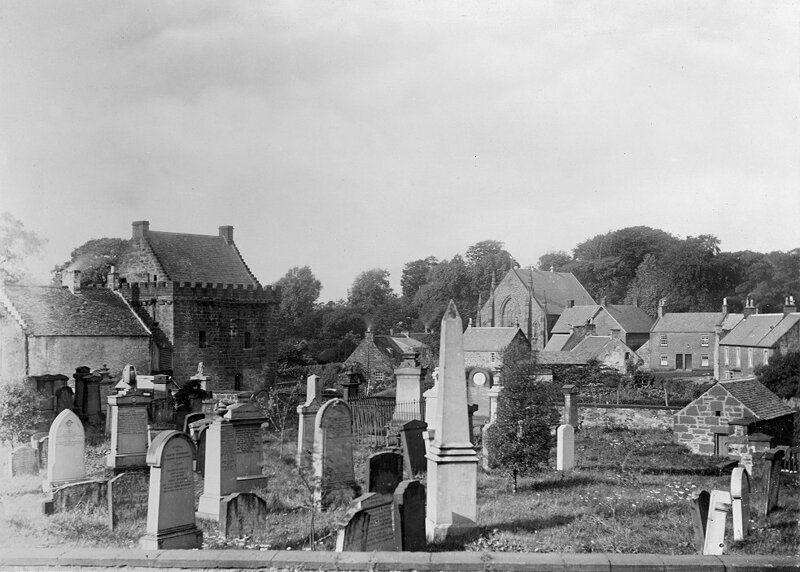 Mauchline old churchyard, thought to be a J Taylor Gibb photo, from an album which includes definite images from the Gibb collection. The above pre dates 1895, which was the when the church halls were opened. The North Kirk in the centre of the image replaced the old Burgher Kirk in 1883, dating the image between those times. The large house on the far right was known as Brownlea House, where according to some historical articles Burns' Mary Morrison lived. Others say she lived in The Place. (see JTG book page 21). Since this photo was taken, all the houses in the shot have gone but for The Castle/ Gavin Hamiltons House, and the building to the right of The North Kirk, which was once was part of the Kirk premises.